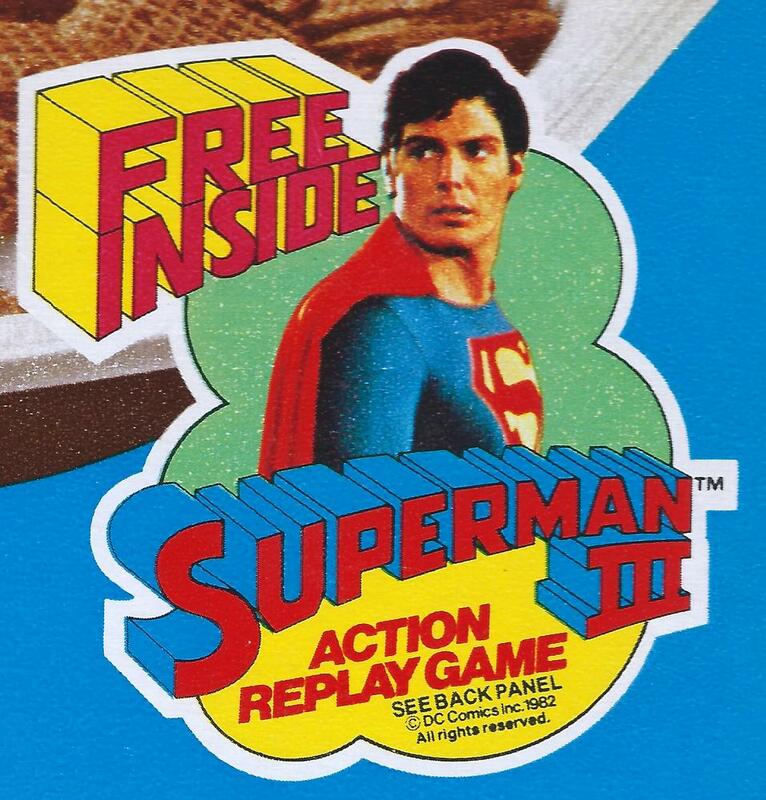 In an era where cereal premiums and movie promotions really gained momentum, the Nabisco Company had wisely remained faithful to the Superman movie franchise after a successful campaign backing Superman II a few years earlier. 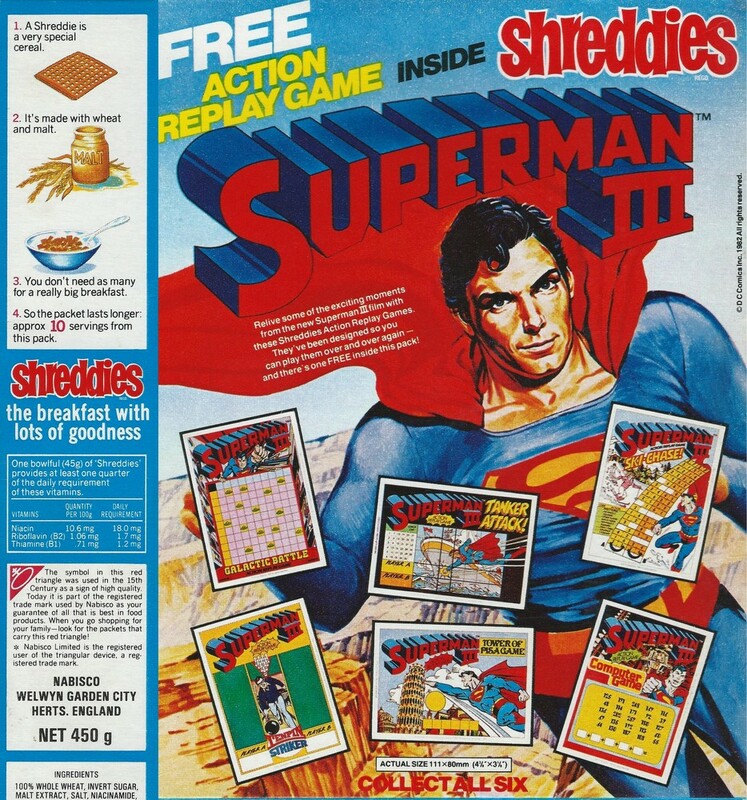 Always looking for new gimmicks to push product out to kids (and ensuring its longevity by making their giveaways a collectable series) the ‘Action Replay Games’ found in special packs of Shreddies were a cunning use of nothing so special as laminate cardboard that would wipe away felt-tip pen. 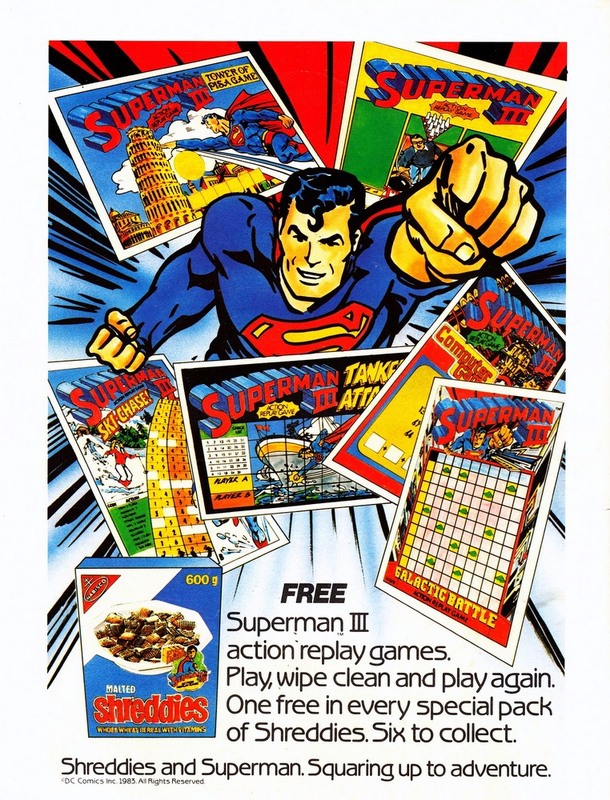 Based on various scenes from Superman III this handsomely illustrated (with art provided by the stalwart Jose Luis Garcia-Lopez) series of six cards were an instant hit but by their very nature would deteriorate quickly (quicker still had you not read the instructions & used ball-point pen) and so would ultimately be disposed of, making them a rarity in the years to follow. 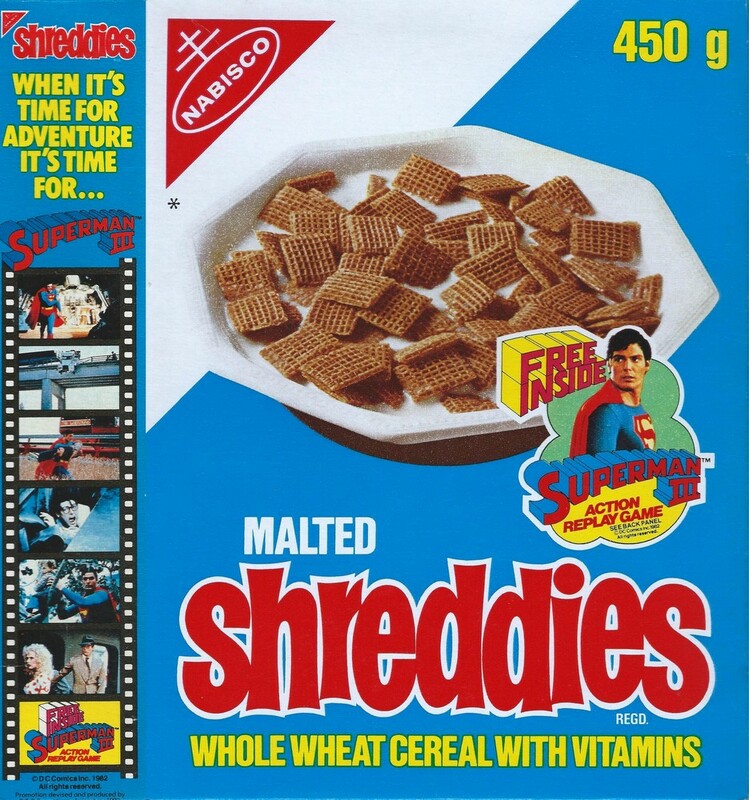 SUPERMANIA therefore, is proud to present not only the comic book ad (bottom pic) but scans of an original pristine Shreddies cereal box detailing all the fantastic artwork (and some rare stills) used in the promotion. The art is based on Jose Luis Garcia Lopez’s work but it is not his actual art. They could be but until I get a closer look I can’t be sure. Where can I sent the files? last time I was made 1/6 smirk Clark Kent . So cool. I remember these.